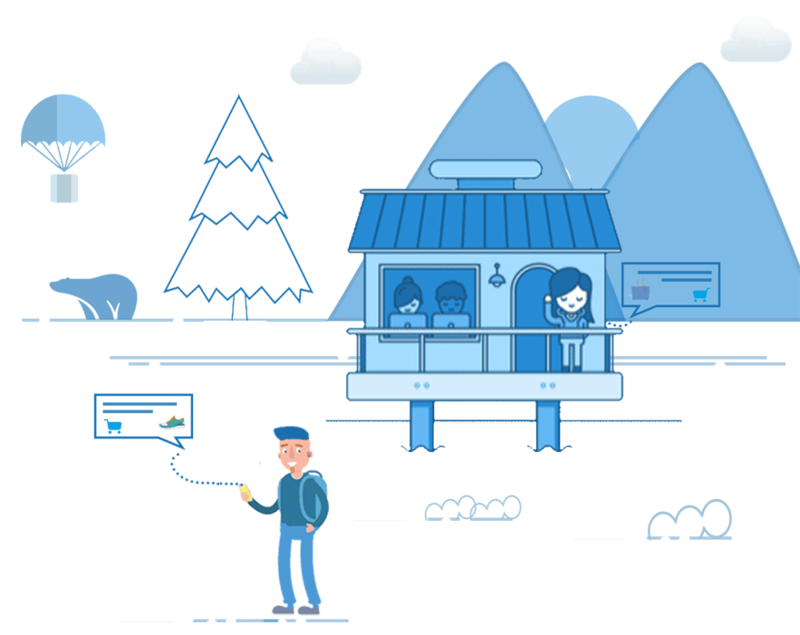 Create different segments of visitors based on visitors behaviours like page Urls they browse, Browser based, Geolocation based, cookies based etc and then show personalized content to them through Notify Visitors personalization. Run your campaigns on specifics group of people. Create this group or segments through Notify Visitor’s advanced visitor segmentation technology. Create user’s segments based on Browser, Page Urls, Geolocation, Cookies, Query parameters,new vs returning users and create your own custom rules to create segments of your visitors. 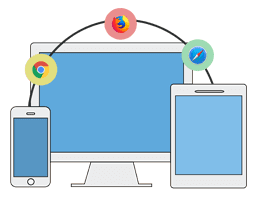 Run your campaigns on all devices like mobile, tablet and desktop. Notifyvisitors let you choose both campaign and variation wise targeting. 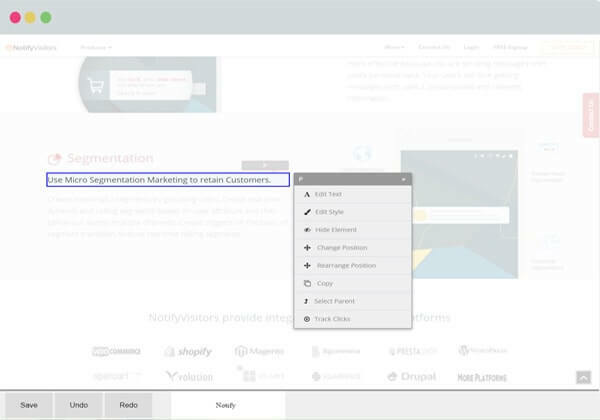 Show personalized content to your specific segments through variation wise targeting. 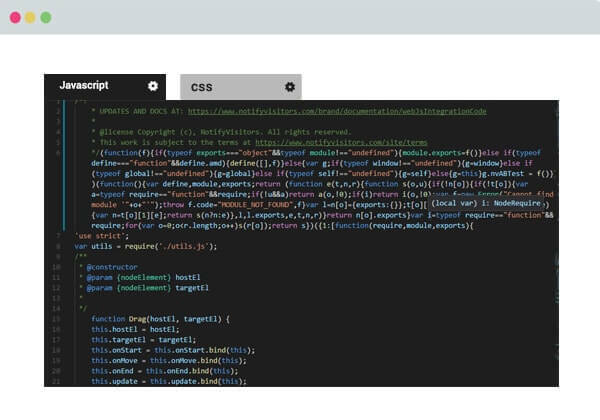 NotifyVisitor offers a Visual Editor and Code Editor to make simple and complex changes to your landing pages. Use NotifyVisitors WYSIWYG editor, to make quick changes to your web and landing pages without writing any code Change anything like heading, font styles, background color, images, text, button text and color etc. Use NotifyVisitors code editor, to make complex level A/B Test. Your developer can use CSS/JS libraries to make changes to your web and landing pages. Preview and test all versions of your control and variations of your landing page before launch. you can see live previews of your variations to simulate how it will look to your visitors. You can verify variations targeted to unique audience sets. NotifyVisitor's advanced tool helps you to identify how your visitors are interacting with control and different variations of your landing pages with real time recording. Get detailed analytics, performance reports and analyze your personalization campaigns with NotifyVisitors advanced analytics system. Get Deep insights of each variations and Export complete reports anytime. 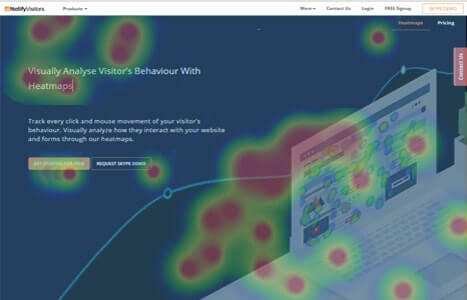 Get behavioral insights of visitors with Notifyvisitors A/B Test. behavior with test data and results. For each Visitors, Notifyvsistors's automatically records heatmaps and clickmaps. 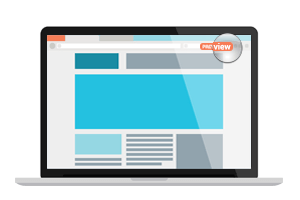 See which parts of your website were more interesting for visitors who converted on the variation. NotifyVisitors's automatically record visitors movement on your control and variations of landing pages, so that you can see how visitors interacting with your landing pages. You can download all data in all available formats for offline analysis. You can start/stop or schedule your A/B campaigns as you want with help of NotifyVisitors Targeting Rules.